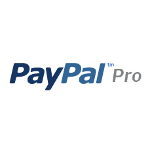 If you’re selling tickets for events, Event Organiser Pro allows you to accept payment via PayPal or offline. 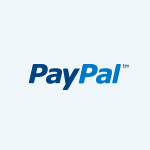 The PayPal gateway simply requires you have a PayPal account (Personal, Premier or Business*). When a user makes a booking they are immediately taken to PayPal’s secure payment gateway where they pay for the booking via their PayPal account or credit/debit card. Bookings are only confirmed when Event Organiser receives valid authorisation from PayPal, this typically happens instantly after payment. *Premier or Business accounts are recommended as PayPal allows you access more features of your PayPal account admin. The “offline” payment gateway allows you to specify how payment should be made, and requires that an admin confirms a booking when that payment is made. The Event Organiser Stripe extension adds support for the Stripe Payment Gateway. Stripe allows your customers to pay for bookings via credit or debit card without being redirected to a payment gateway. Because of the way it’s implemented, Stripe takes the burden of PCI-compliance away from your servers. The Stripe extension is bundled for free in the Event Organiser Pro Developer license, but can also be purchased separately. This gateway is currently in development. 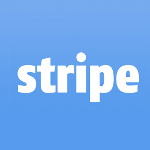 Like Stripe, it allows you to accept credit card payments on-site. Unlike Stripe it doesn’t take any burden of PCI-compliance. If you require a payment gateway that is not listed here then you can sponsor the development of that gateway. Simply get in touch using the form below and we’ll get back to you with a quote for creating an extension, adding support for the gateway. This is reduced if you allow us to make that extension available to others. The name of the gateway you wish to sponsor. If selected, the extension we create will be made available to others to purchase, and we'll provide a discount on the quote for the gateway development.